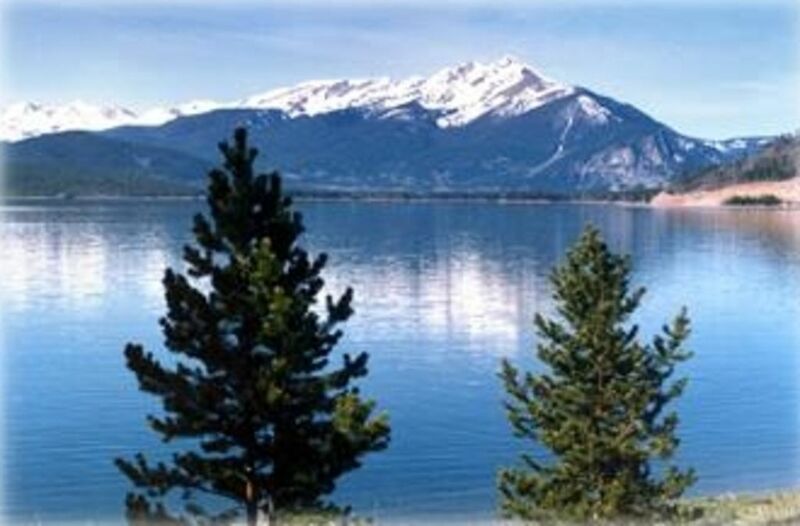 Relax and enjoy the Ten Mile Range and beautiful Lake Dillon from our spacious and comfortable two bedroom condominium at Lake Cliffe, situated in the heart of the Colorado Rockies. Our condo is located in the town of Dillon, 75 miles west of Denver via I-70, in the center of Summit County Ski Country. Four major ski areas are just minutes away: Keystone, Breckenridge, Arapahoe Basin, and Copper Mountain. Vail and Beaver Creek are less than an hour's drive. Winter in Summit County offers downhill skiing, cross country skiing, snowboarding, snowshoeing, snowmobiling, and ice skating. There are restaurants, bars, and entertainment within walking distance of the condo, including a local brewery (Pug Ryan's), great BBQ (Arapahoe House) and bowling (Lakeside Bowl). Additional restaurants and stores are just a short drive away. The Summit Stage Shuttle stops a block from the condo and provides free transportation to the ski resorts and to the expansive Silverthorne Factory Outlet Mall down the road. Our summertime guests enjoy our convenient location, just above Lake Dillon at the Marina end of the lake. It's a five-minute walk to the Marina for access to the boating, kayaking, stand-up paddle boarding and water-taxi service and to the water-side Tiki Bar, a great place to stop for a snack and cold beverage. The mountain views from the lake are some of the most spectacular in Colorado! A newly renovated amphitheater on Lake Dillon, featuring free concerts on weekends during summer months, and the Summit County bike path are also within walking distance of the condo. Summer in Summit County provides a wide range of other recreation and cultural activities that are accessible near the condo, including tennis, golf, hiking, rafting, fishing on lakes and streams, art shows, and film festivals.